Coconut oil is widely used as a hair product. Before you decide to start using it due to its numerous beneficial properties, read why this oil is so amazing and why millions of people are using it. Coconut oil is especially used as hair oil by people who live in coastal areas where coconuts grow. Some of these areas are: Sri Lanka, Malaysia, Burma, parts of the Caribbean, Indonesia, Philippines and the Indian Subcontinent. Coconut oil contains minerals, vitamins and carbohydrates which are very beneficial for the human body. But coconut oil is not only used for hair care. It is used in the productions of cosmetic soaps and creams and in Asia it is also added in many dishes and salads. Coconut oil is used as hair oil for many years as it contains components which make the hair strong, nourished and protected from hair loss and baldness. Find out which are some of the beneficial properties of coconut oil and which components are responsible for maintaining beautiful hair. Hair Loss: Coconut oil has been used as hair oil in India for many years. Numerous natural cures were prepared of herbs and coconut oil against hair loss. One of those remedies is prepared with sage leaves and coconut oil. You just need to boil sage leaves in coconut oil. This mixture is applied directly on the scalp and it is proven to prevent hair loss. You can also prepare a mixture of lime water and coconut water against hair loss as well as a mixture of gooseberries and coconut oil. Just boil the gooseberries in the coconut oil and apply it on the scalp. Hair Damage: The coconut oil prevents the protein loss in damaged and healthy hair as well. It contains lauric acid which easily penetrates into the hair shaft. It can be used before the usual hair washing or after washing. Coconut-and-Coconut-Oil Cooling Properties: Coconut oil when applied on the scalp has cooling effect. It can cool the head in summer days especially in those people who suffer from severe scalp sweating. Moisture Retention: Coconut oil doesn’t evaporate and it is quite stable so it has high moisture retaining capacity. That is why it keeps the hair mustered and soft and prevents hair breakage. Hair Conditioning: Coconut oil is the best hair conditioner, much better than those available on the market. Warm coconut oil makes the hair shiny and soft. You just need to apply some warm oil before bed and wash the hair in the morning. 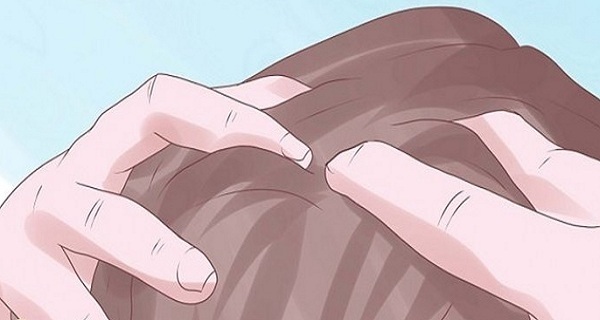 Repeat this treatment for several times a weekand your hair will be strong and healthy. Anti-Dandruff: Coconut oil is rich in numerous fatty acids which are proven to act against dandruff and are proven to be more effective than anti-dandruff shampoos. If you use it regularly you will never have problems with dandruff again. You can prepare a mixture of coconut oil, castor oil and lukewarm water as it can also help in the fight against dandruff. Massage the scalp and hair with this mixture for positive results. You can also make a mixture of coconut oil and sesame oil against dandruff. Keep this mixture on the hair for 30 minutes and then wash the hair. Coconut oil is also used for styling your hair because it melts when is heated and then tightens when is cooled. So when you put it on hair it spreads all over the hair and then when you go outside it becomes thick thus acting as styling gel or cream. Lice Protection: Lice are annoying pests in the hair and can cause embarrassment. They are also very persistent. Although there are many chemical products on the market against lice, you should know that they can damage the scalp and hair because they contain strong chemical components. You can also comb your hair with special combs against lice but they can also damage the hair. But, of you apply coconut oil on the hair, you can comb it more easily and in this way you will not damage the hair. Hair Care for Dry Hair: People with dry hair have many problems. By using hair care products for cleansing, toning and conditioning they make their scalp dry and flaky. Coconut oil is better choice for dry hair. Coconut oil is especially used for toning the dry hair. Just apply warn mixture of coconut oil and lavender essential oil on the scalp and keep it overnight. In the morning wash your hair well. Repeat this treatment until you get the desired results. Hair Conditioning: You can easily prepare homemade hair conditioner with coconut oil. It is effective without side-effects. Prepare a mixture of henna, coconut oil and warm milk. Stir until it becomes paste. Keep this mixture on the hair for 20 minutes and then rinse well. This hair conditioner is quite effective, especially for dry hair. Boils: Some people have boils on the scalp especially in the winter. They can also appear if your scalp is exposed to sun or heat for a longer period of time. You must keep your scalp and hair clean and occasionally you should massage your scalp with a mixture of coconut oil and olive oil. This mixture can help against the unsightly and unpleasant boils. But if the problem is severe then you must consult your doctor. Split Ends: If your hair is with split ends, it is recommended to cut them off, but if the problem is not that serious you can solve it with simple home remedies. So, massage your hair with a mixture of almond and coconut oil for several minutes which will reduce split ends. Gray Hair and Baldness: Coconut oil is proven to act against baldess and gray hair. Mix Bhringraj or Eclipta Alba leaf juice with coconut oil and apply this mixture on the scalp and hair. You can find coconut oil in almost every store. A lot of people buy the odorless coconut oil and use it for various hair problems. You should know that almost every shampoo contains coconut oil even in small amounts. These days, people are more aware on how important the natural oils are for hair care. There was a time when the most popular hair style was wind-blown, fluffy light hair, which was a result of using chemical-based shampoos without oils. But very soon those who used oils continued to use them while those who didn’t, had no hair to shampoo it. This happened because the excessive use of shampoos is drying and damaging the hair as well as the scalp. Then the manufactures started to use coconut oil in their products. They learned the lesson from the old men and women with natural, strong, black hair living in coastal areas of India and neighboring countries, and who were using coconut oil on their hair since they were borne. Soon the use of coconut oil in commercial shampoos showed amazing results and it became part in every hair care product. Healthy Hair: Because it has many properties like: anti-aging properties, vitamin E, many nutrients etc., it is the best oil you can add into your shampoo. The Oily Factor: Soap –based or detergent shampoos make your hair rough, dry and bleached. That is why you have a problem with combing your hair after applying the shampoo. The oil in the shampoo will help with the problem. This is because coconut oil contains saturate fats which make your hair shiny and soft. Fragrance: Coconut Oil adds a sweet and refreshing aroma to the shampoos. At the end if your favorite shampoo doesn’t have coconut oil you can always add coconut oil into the bottle. For better results the shampoo should be organic or herbal. It is also important to keep your hair clean, to consume healthy foods and use quality hair grooming products. Also use a god comb which will not break or damage your hair. Share This Post on Facebook....!